Sri Lanka’s cultural landscape has been shaped by millennia of religious influences, global commerce and the legacy of colonial rule. While the central part of the country is dotted with significant Buddhist sites, the Tamil-dominated north is a Hindu heartland. And throughout the country you will find lingering reminders of the Portuguese, Dutch and British empires, each of which left their own fingerprints on the country’s cultural heritage. This heady blend of influences has endowed Sri Lanka with a vibrant contemporary culture alongside a wealth of historical and archaeological sights, all of which are guaranteed to fascinate inquisitive visitors. Sadly the country’s cultural diversity is largely ignored by the mass tourism industry, which focuses its attention on a small number of busy tourist traps. Nowhere is this more evident than at the Temple of the Sacred Tooth in Kandy. Millions of visitors flock to Kandy all year round to visit the temple, which houses the Buddha’s tooth. Ill-equipped to handle the crush, the city’s infrastructure is strained and solitude is almost impossible to find in the temple grounds. It’s a similar story at Sigiriya Rock, Sri Lanka’s most-visited tourist destination at the heart of the famous Cultural Triangle (see below). Sigiriya is cursed by large throngs of visitors, so expect lengthy queues to ascend the rock. That said, it’s surprisingly easy to get away from the tourist bustle and catch more than a few glimpses of the ‘real’ Sri Lanka. For an alternative view of Sigiriya Rock and its history, consider visiting the often overlooked yet thoughtfully curated Sigiriya Museum, among the finer museums in the country. Designed to reflect the architectural finesse of Sigiriya and its surrounding moats and gardens, the museum has a diorama of the monument, and an accurate reproduction of the famous rock-cut frescoes. The museum is near the ticket booth and the main entrance to the monument. A visit to the museum is included in the entrance fee – $30 for people from non-SAARC countries (those belonging to the South Asian Association for Regional Cooperation); $15 for people from SAARC countries). Allow yourself two nights in Sigiriya, and an additional one if you would like to explore the cave temples of Dambulla or the Minneriya National Park, both a short drive away. The Cultural Triangle, the spiritual centre of Sinhalese civilisation, plots a vaguely triangular expanse between three key historical centres: the city of Kandy, and the two ancient capitals of Anuradhapura and Polonnaruwa. 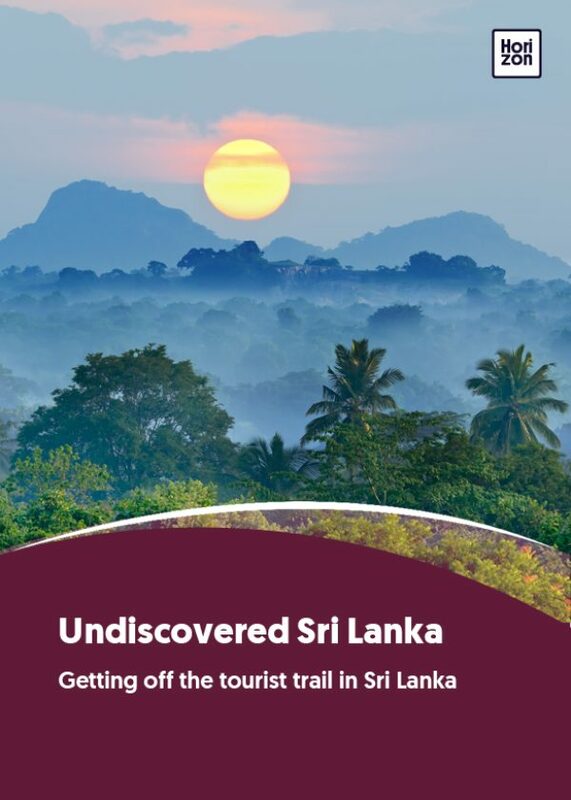 Contained within are some of the country’s most important historical and archeological spots including Sigiriya, the ruins of Anuradhapura, the cave temples of Dambulla, the pilgrimage site of Mihintale, plus numerous lesser-known sights. Most itineraries will include the hotspots, but do try to explore further afield for a deeper look into Sri Lanka’s rich history. It’s not hard to imagine the ancient splendour of Anuradhapura, which served as the capital of Sri Lanka between the 4th century BC and the 11th century AD. A UNESCO World Heritage Site and once the centre of the Theravada sect of Buddhism, Anuradhapura has a wealth of historic and religious ruins that can make for several days of leisurely exploration. Start at the Jetavanaramaya, a towering, 400-feet-tall Buddhist stupa or meditation centre that only lost its status as the world’s tallest stupa in 2007. Make a pit stop at the Kuttam Pokuna, two well-preserved bathing ponds that are believed to have been used by monks from the prominent Abhayagiri monastery. And spend a few minutes marvelling at the Moonstone, an ancient, semi-circular stone slab with an intricately carved depiction of samsara, or the cycle of life, death and rebirth. The $25 admission fee allows access to some of the important sites in the old city. But note that to visit others such as the Sri Maha Bodhi or sacred Bodhi tree, which is believed to be the oldest documented living tree in the world, you have to pay a separate fee. Anuradhapura’s ruins are spread out over a vast area, so rent a tuk-tuk or pushbike to get around. Most hotels and guest houses in the area have bikes for hire. Beware of tuk-tuk drivers who offer to organise tours that don’t require buying entrance tickets – this is a common scam that usually ends with the driver pocketing your money. A good tour operator will deal with the logistics for you. The best months to visit are between January and March, and June and September. Stay at least three nights to cover all the cultural sites in the area. Culturally and visually distinct from the rest of the country, the northern city of Jaffna is a bastion of Hindu culture. The whitewashed stupas and Buddha statues of the rest of the country are notably absent here. Instead, you’ll find a profusion of candy-coloured, vividly decorated Hindu temples sprinkled across the Jaffna peninsula. The largest and most significant of these is the Nallur Kandaswami Kovil, an imposing temple crowned with a gilded gopuram or tower, which stands out against the squat skyline of Jaffna. In July or August every year, the Nallur temple hosts the 25-day-long Nallur Festival, a riotous celebration of faith in honour of Murugan, the presiding deity of the temple. Thousands of devotees throng the temple during this time to participate in the daily pujas or rituals. The streets surrounding the temple become a colourful bazaar with vendors selling luridly coloured sweets, saris, trinkets and toys. The festival concludes with a chariot procession called therthiruvizha (shortened to ther), during which the deity is paraded through the streets of Jaffna. A visually resplendent spectacle, the ther also features devotees performing acts of self-mutilation as a display of their faith. The timing of the festival varies from year to year, but it usually falls between late July and early August. Hotels in Jaffna are booked to capacity during the festival, so it is best to plan your trip well in advance. We recommend staying for three to four days. Often overlooked by visitors, the Ritigala mountain in the north-central part of the island is a fascinating confluence of natural splendour and historic ruins. The mountain’s higher slopes are designated a “Strict Nature Reserve” and are out of bounds to visitors. But the accessible lower reaches are home to the well-preserved ruins of an ancient forest monastery that is believed to have once been occupied by an order of austere ascetics called Pansukulikas. The Pansukulikas are said to have worn robes made of rags to distinguish themselves from the monks in nearby Anuradhapura. The ruins include bathing tanks, raised meditation platforms and even the remains of an ancient Ayurvedic hospital. Even before the ascetics, the mountain is believed to have been home to the Yakkas, a legendary tribe of fearful warriors. It also finds mention in the Ramayana, the Hindu mythological epic, as one of the spots where the monkey-god Hanuman accidentally dropped a chunk of the Himalayas – said to be a reason for the mountain’s exceptional biodiversity. Also in the north-central province, Ritigala is accessible by road from many key cities in the Cultural Triangle, including Anuradhapura and Habarana (both are about four to five hours from Colombo). Since the mountain is in a secluded area, it is best to organise your trip through a reliable tour operator. The roads leading to Ritigala get treacherous in the rainy months. Visit during the dry season from June to September. Rising 1,000 feet above the flat terrain of the north-central province, Mihintale has a special significance for Sri Lankans. In 247 BC, it was on the summit of this mountain that the ruling king, Devanampiya Tissa, is believed to have been converted to Buddhism by Mahinda, the son of the Mauryan emperor Ashoka. Ever since, Mihintale has been revered as the birthplace of Buddhism in the country. Mihintale makes for a pleasant and gentle climb – broad stone steps flanked by trees lead to terraces on multiple levels that contain remains of an ancient hospital, an alms hall or refectory, a dagaba or monastery, and the main shrine. On full-moon night in June, called Poson Poya, millions of pilgrims visit the shrine for a colourful festival to commemorate the day that Buddhism was brought to Sri Lanka. Mihintale is 12 km east of Anuradhapura (approximately half an hour), and about four hours from Colombo by car. There isn’t much choice in terms of accommodation in the town itself, so it would be advisable to stay in Anuradhapura. The best time of year to visit is between June and September. The quaint charm of the 430-year-old Galle Fort – a UNESCO World Heritage Site and one of Sri Lanka’s most-visited destinations – is best experienced on foot. The cobblestone streets and narrow alleys of the fort, first built by the Portuguese and later fortified by Dutch colonisers, are particularly good for unhurried walks. The Fort packs a number of architectural and historical landmarks into a compact space. Some of these include the 17th century Dutch Reformed Church, the Maritime Museum, the courthouse where typewriters are still used, and the Meeran Mosque, a striking structure that is a testament to the Fort’s multi-ethnic social fabric. Allow yourself at least three hours for a thorough exploration. A good guidebook and map will help you plan your walk, although it is impossible to get lost inside. We recommend staying at least two nights to fully soak in the laid-back vibe of the Fort. Given its location on the southwestern coast, the best time of year to visit is between December and April.